Sodium 3-hydroxybutyrate is a biochemical used in proteomics research. 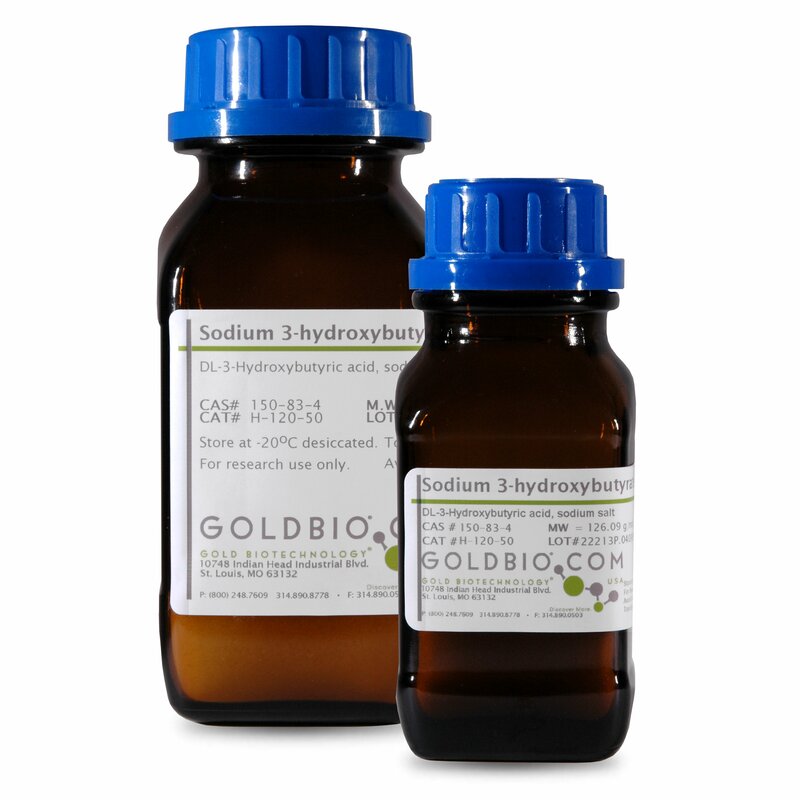 Please note: GoldBio H-120, Sodium 3-Hydroxybutyrate, is a dual use product that can be used in both research and on humans. Goldbio sells this product for research use only and we cannot sell this product for use on humans. To satisfy legal requirements, this product requires a signed end-use statement stating that this product will be used for research only. Please contact GoldBio for further information.